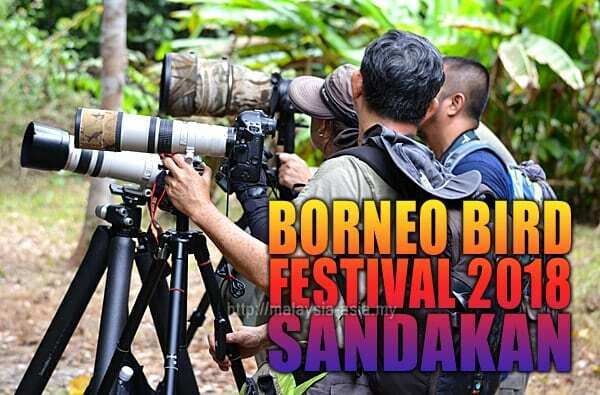 The 10th Borneo Bird Festival 2018 will be held in Sandakan, Sabah on 1st and 2nd December, and many are happy to know that the decade long birding event is now coming back to its home ground. Since the conceptualization of this unique bird watching festival which started back in 2009, the Borneo Bird Festival has seen huge changes in the last 10 years, and is also known as the largest bird watching and nature festival in Malaysia. 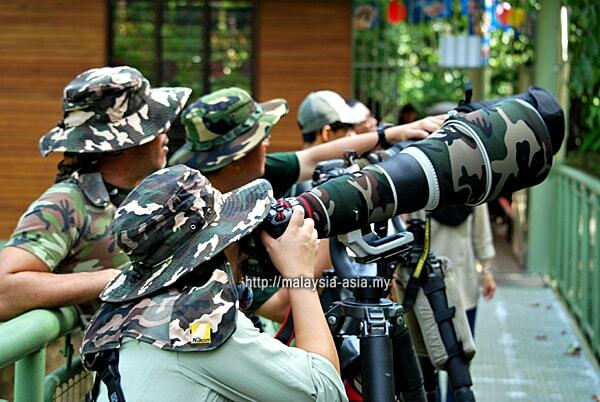 The event has also brought together bird watchers from all over Sabah, Sarawak, Peninsular Malaysia and also from around the world to this event. While the regulars may know what happens during this bird festival in Sabah, it is also important to keep the awareness going, namely to the overall population. The theme for this years Borneo Bird Festival 2018 is ‘Born To Be Wild’, where strong emphasis has been put on not caging the birds, and letting them be in their natural habitat. The theme also focuses on forest conservation all over Sabah and Malaysia, plus the main highlight is to be able to stop the legal and illegal bird trade which has shocked the world in recent years. Many birds have been trapped and hunted to be sold in the black markets, and some of these birds are poached and hunted for their natural beaks, like in the hornbills. Bird and wildlife education is a never ending process, and the best that people can do is by constantly educating the public about this. Another highlight of the event is also to promote nature and bird watching as a hobby, as this is one of the growing trends in experiential tourism. 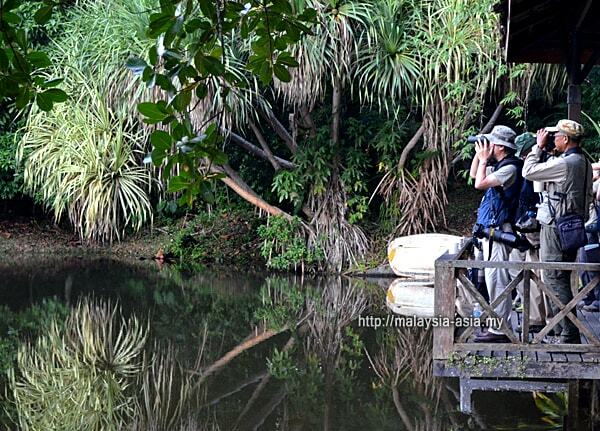 Photographing the animals and birds is also one of the growing hobbies by locals and also many foreigners who come here to experience Sabah’s beautiful wildlife. Awareness is never enough, and it is at event like these where you can get more information from the organizers and even the participating vendors. Throughout the two days, there are a number of activities that go on during the festival, and they are broken into different areas. Depending on what you or your family want to participate in, the list of events is below, and you can choose. 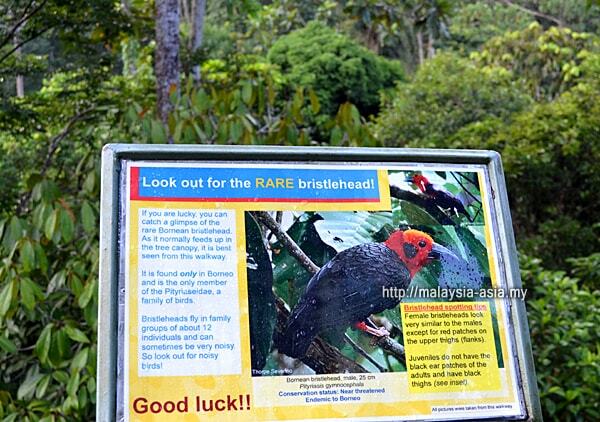 Sabah Bird Race – This is the most popular event where teams need to register and go on a bird watching race around the RDC. Bird Photo Race – Similar to the bird race, but this event is done in a photography style race, where participants photograph the most number of birds during the race. Bird Photography Contest – This contest is open to everyone, and is submitted before the festival, and photos are judged during the festival, where the winners are selected and announced on the final day. 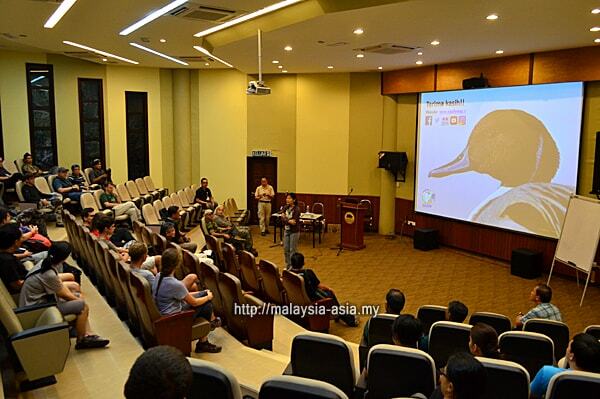 Talks – Without fail, there will be a number of talks by local and international speakers in regards to bird watching, migrations, conservations and techniques. A number of NGOs will also give talks on conservation and ecotourism. 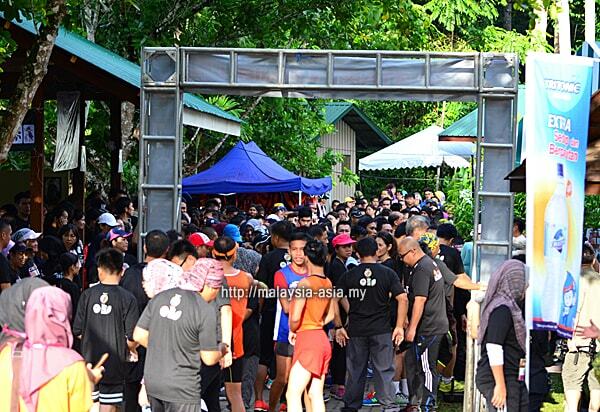 Borneo Bird Run – A unique marathon around Sepilok that is fun for the family, and takes the bird theme. Participants have a best dressed category in this fun run, and over 2000 people will be seen taking part on the final day morning. Exhibitions – There are various exhibitions that take place around the event, which will suit all walks of life. Some exhibits display conservation efforts by the wildlife department, WWF and even MNS. Others will be on books, paintings and photography. 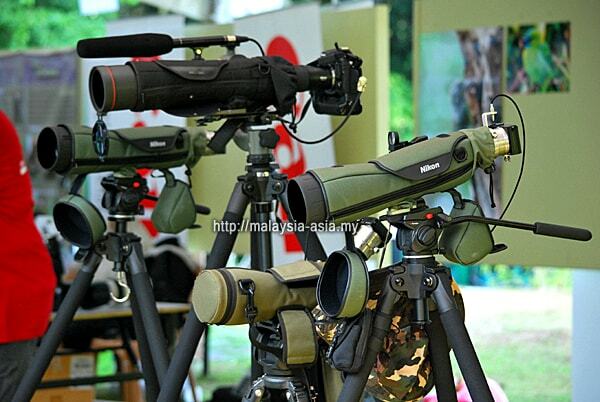 Bird Watching Equipment – A number of vendors from renown brands will be seen displaying their latest equipment that ranges from binoculars, cameras, telephoto lenses, field scopes, bird and nature book and many other interesting items. Guided Nature Walks – Special timed nature walks by volunteer guides will take place on both days where it is free. Interested parties need to just sign up for the guided walks around the RDC. Food and Drinks – There will be a section dedicated to food and drinks at the event where you will find local food like bites, burgers and snacks among cold drinks and juices. Games and Quiz – There will also be a series of games and quizzes held throughout the event, and these are very suitable for both adults and kids. Who Should Go To The Borneo Bird Festival? 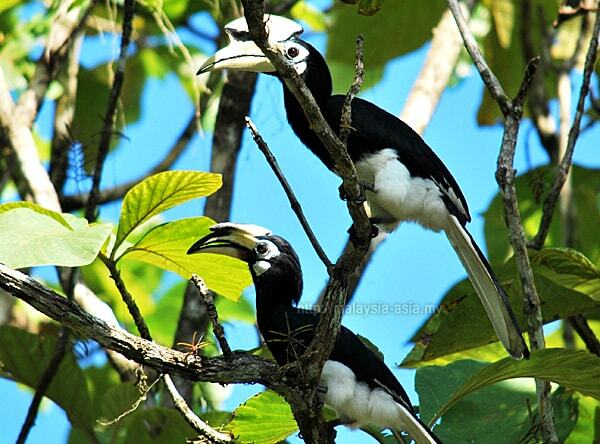 This is a popular bird watching event in Sabah that attracts all walks of life. 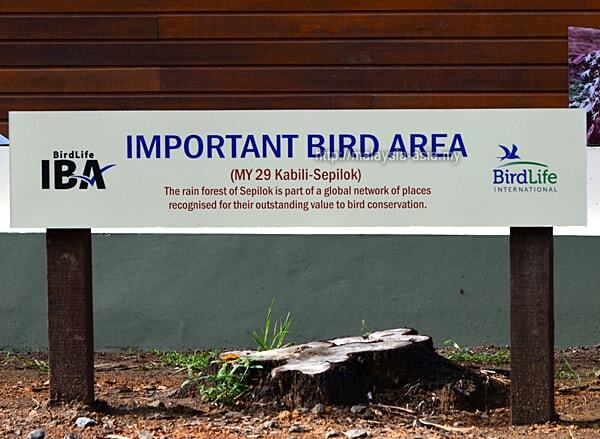 The main purpose of this event is to create awareness of the importance of birds and the environment. If you are a nature lover, or even a beginner bird watcher or photographer, this is the perfect place to start. At the event, you will see a lot of beginners, amateurs and even professionals participating. At the RDC, there is also an amazing steel canopy walk that stretches about one kilometer long, and it is a modern design type that can accommodate hundreds of people at any time. For those who live out of Sabah, this event could be something very different compared to other events you may have attended. Personally, I easily recommend attending this, namely because it is in Sandakan, on the east coast of Sabah Borneo. Sandakan is also known as the nature city of Sabah Borneo, where there is abundance of nature to be discovered. There is of course the world famous Sepilok Orangutan Rehabilitation Center, the Bornean Sun Bear Conservation, Labuk Bay and many other places for wildlife and nature watching. Even around Sepilok, there are a number of nature resorts available for guests to stay at, which is also walking distance to the Rainforest discovery Center or RDC as it is commonly called. On one of my previous trips, I had the pleasure of staying at the popular Sepilok Nature Resort, which is perfect for any kind of traveler. 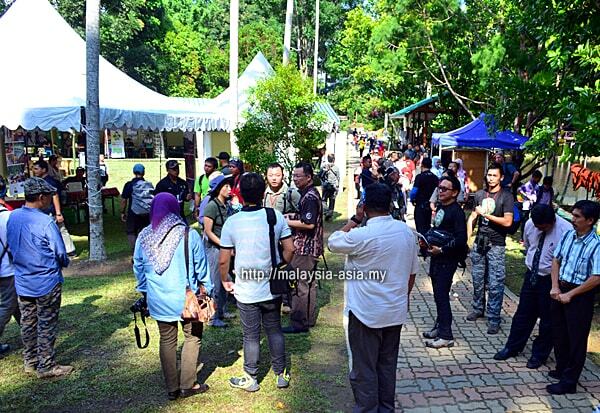 What to Bring to the Borneo Bird Festival? As this is an outdoors event at the RDC, you will be walking around most of the time. A majority of the events take place outdoors, hence you should be prepared for any weather changes. How To Go To RDC In Sepilok? 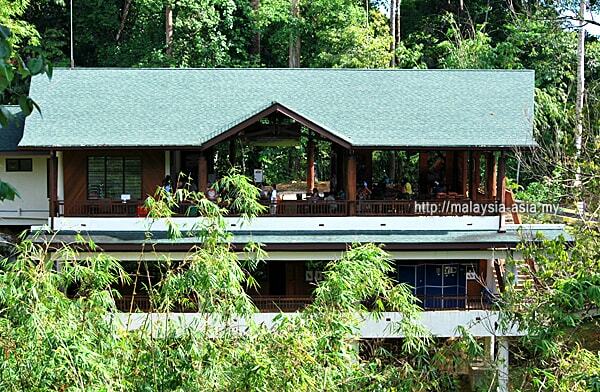 The Rainforest Discovery Center or RDC is located just out of Sandakan city, and is about 23 kilometers away. To get here, you have a few options which includes taking a taxi, Grab or renting your own car. For locals, it is a 30 minute drive without any traffic jams. Taking A Bus From Sandakan To Sepilok – There is a public bus service from Labuk Bus Company that departs from the Sandakan Town Council, and the timings are not as frequent. The bus stops at the junction of the main road of the Sepilok entrance and you then need to walk in about 1.5km. 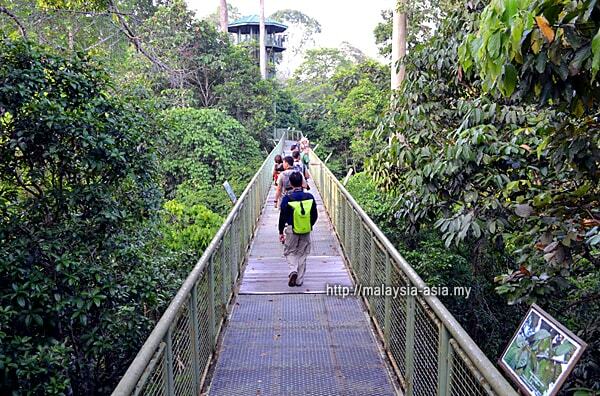 This is not recommended, unless you are doing a budget travel around this part of Sabah. Flying To Sandakan – There are a few airlines that fly from Kuala Lumpur to Sandakan, where AirAsia has the most flights a day. Malaysia Airlines has two direct flights into Sandakan from KL. AirAsia also connects from Kota Kinabalu and some other cities to Sandakan for those traveling locally. Taxi or Grab Ride Hailing Service – Taxis and Grab is available, but you need to weigh the pros and cons of this, as you know Grab is the cheaper alternative. If you love birds and nature, this is one birding event you should consider attending. Even though it is located in Sandakan, Sabah, it is very well organized and truly an eye opener for many. 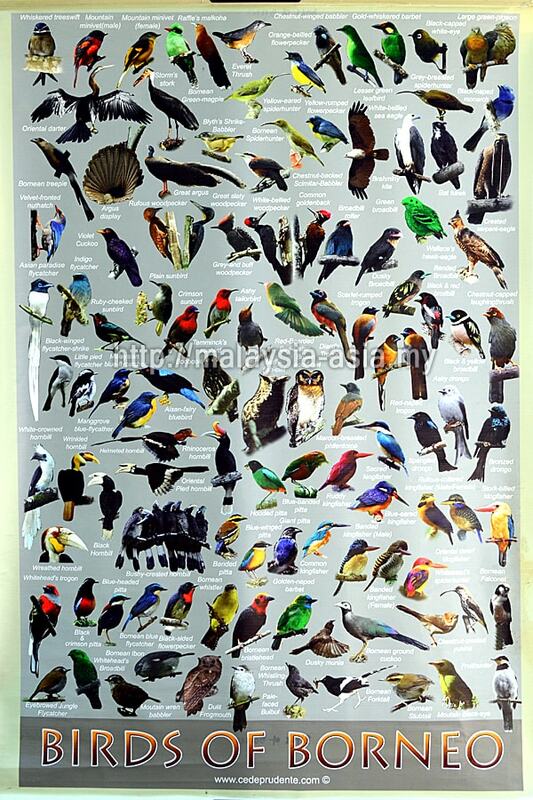 For me, I live in Semenangjung Malaysia, and in the fast city life of Kuala Lumpur, and I have attended quite a number of bird events around Malaysia. 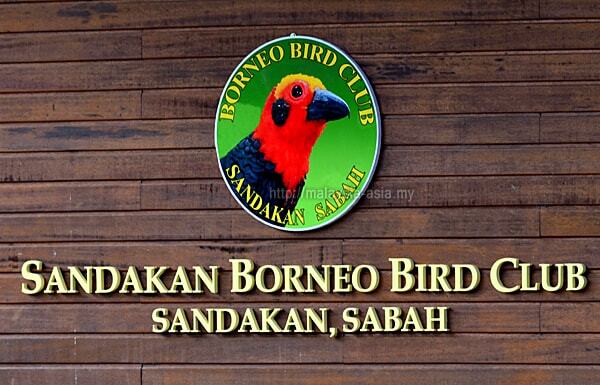 But on my first event trip to Sandakan to witness the second Borneo Bird Festival in 2010, I was taken aback with the overall organization done by the local bird club called Sandakan Borneo Bird Club. Never did I expect that a local organized bird festival could have been done in such international standards, attracting people from all over the region. Therefore, I would easily state that the Borneo Bird Festival 2018 is something you may not want to miss if you have been planning to visit this part of Sabah.